The new species is named Machaeroprosopus lottorum after the Lott family who own the ranch on which the animal was found. According to a news release from Texas Tech University, researchers have uncovered a new species of phytosaur in West Texas. 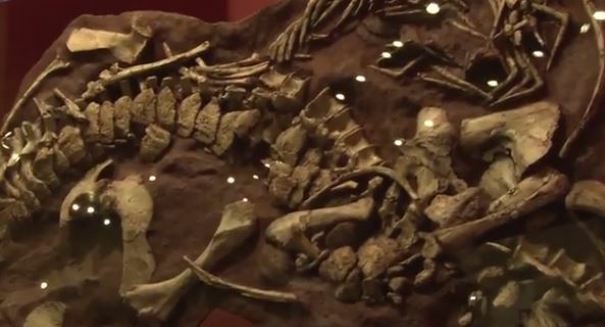 According to Bill Mueller, assistant curator of Paleontology at the Museum of Texas Tech University, the new species is named Machaeroprosopus lottorum after the Lott family who own the ranch on which the animal was found. The researchers discovered that they had found a new species by comparing the supratemporal fenestra, the snout and the shape of the bones at the back of the head to other phytosaurs. During the Triassic period, West Texas was swampy, according to Mueller. Phytosaurs hid beneath the water and waited for prey. The study’s findings are described in greater detail in the journal Earth and Environmental Science Transactions of the Royal Society of Edinburgh.